The benefits of good oral hygiene cannot be overstated. Healthy teeth and gums, an attractive smile, and the ability to eat and speak without pain or discomfort all depend on regular brushing, flossing, and dental exams. That's why at Newman Family Dentistry we offer instruction and encouragement on the best dental hygiene practices at each appointment. Without this basic maintenance, your mouth is vulnerable to infection and decay which can become painful and even debilitating. There is also evidence linking gum disease and tooth loss with other serious health problems, such as heart disease, diabetes, and rheumatoid arthritis. For the sake of both comfort and overall health, it is essential to properly care for your teeth. But good dental hygiene doesn't develop in a vacuum. Young children need to be taught the proper way to brush and floss, and to have these habits consistently demonstrated so that they can learn to incorporate them into their routines. Adults, too, occasionally need guidance in these areas, when they have received improper instruction in the past or are encountering a new circumstance. 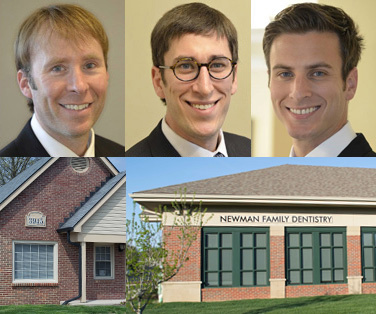 At Newman Family Dentistry, we emphasize the importance of caring for your teeth, and offer dental hygiene instruction in a way that will be understood and remembered. When you or your child come to our office for an exam, you'll have the opportunity to discuss any concerns with us regarding your oral health. These exams also provide us a unique opportunity to spot any areas where you might be having trouble, and to offer instruction to correct these issues. Often, if we can correct oral hygiene problems early, we can head off many painful and expensive problems down the road. For children, we are happy to demonstrate basic brushing and flossing techniques as part of our routine checkups, as well as to give them motivation to brush and floss at home. They will need parental guidance to be sure of establishing these habits; we can offer you advice on how to keep your kids interested in caring for their teeth, and what they need to develop the skills to keep their mouths healthy. From young kids with their first toothbrush to adults who just need a refresher, teaching the best oral hygiene habits is part of our job to keep your mouth healthy. At Newman Family Dentistry, we strongly believe in practicing preventive dentistry. Rather than waiting for problems to develop before offering treatment, we prefer to help you maintain good dental health constantly throughout your life. By investing a little time and care in your teeth now, you save yourself time, pain, and money in the long run by nipping most dental problems in the bud. Our oral hygiene instruction is designed to keep you healthy and preserve your wellbeing, which is and will always be our first priority. If you have questions or concerns about your dental hygiene habits, please ask at your next appointment. If it's been a while since we've seen you or your child, come on in for a checkup. We'll take the time to answer all your questions, demonstrate proper brushing and flossing, and make your kids feel good about keeping good dental habits. Contact us by phone or by using our convenient online form. We have two convenient locations in Indianapolis and Carmel.